Here are a few photographs of what's been going on around this place for the past week or so. Just random busy work and anxiousness for baby to arrive. 1. Tasty blueberries, my favorite snack these days. 2. Baby's clothes washed and line dried, ready for his arrival. 3. Just washed towels and sheets for the little one. 4. Hand washed and clean dishes. 5. My current read, great book! 6. Latest project, sewing a cute day dress. 7. 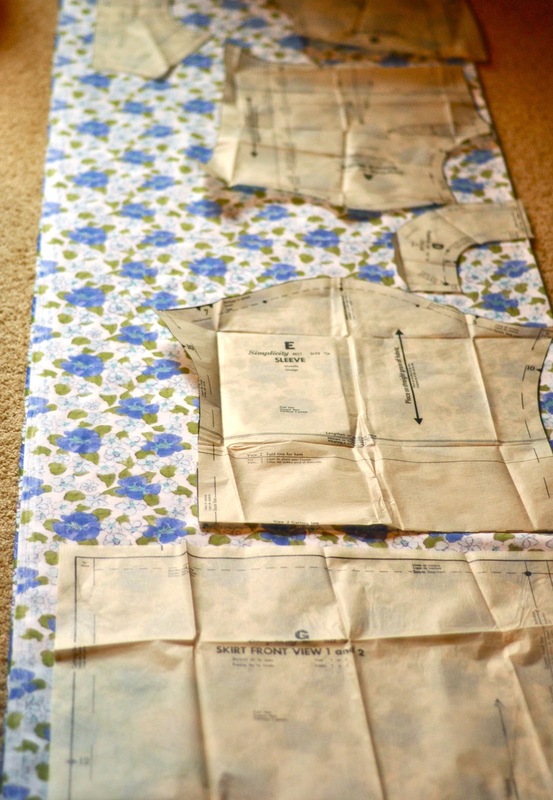 The day dress pattern.